How much control do you have over access to your premises? We’re installers of the door entry systems Dorset businesses love. As authorised Paxton installers, the market leaders in audio and video intercom systems, we’re advocates of these affordable and manageable door entry systems. Digital door entry intercoms are great. They’re straightforward to install and their effectiveness is unrivalled too, controlling entry by being able to see and hear visitors through the intercom negates the need for multiple key handlers or code-knowers. We’ve been designing and installing business access control systems for a while now, and we’ve always been at the forefront of IP intercom technology when dealing with both one button audio access systems and complex multiple room installs. Compact medium secure systems are mainly used on internal doors in small businesses to control access to staff rooms or storage rooms. The lock control electronics are housed within a numbered keypad, swipe card reader, or proximity reader, so they’re simple to install and a cost-effective way of controlling access. Switch2 high secure systems mean tougher security. They use separate electronic control units located on the inside of the door to prevent tampering. Best used for external access to buildings and for high risk access to internal rooms. One of our Unique engineers can survey your property for a business door entry system at a time that’s convenient for you. Arrange one today, free of charge, by speaking with one of our fire and security experts on 01202 743231. In terms of value for money, Paxton’s Net2 system is the one. Its advanced PC-based system gives full control over who has access to the building. Net2 has the capability to control hundreds of doors for up to 50,000 users and it’s super secure too. The secure Net2 Lite PC software gives full control over the system to designated security officers. Instructions can be sent to the doors with immediate effect. Adding users, removing users and changing access permissions are all done through the PC software. Security officers can create permissions for ID cards or key fobs to control access of certain staff and visitors, to particular areas of the building. A great way of monitoring who’s currently in the building and who’s been in the building on a specific day. Theres the ability to see if a door is jammed open, or if force has been applied to a door too. 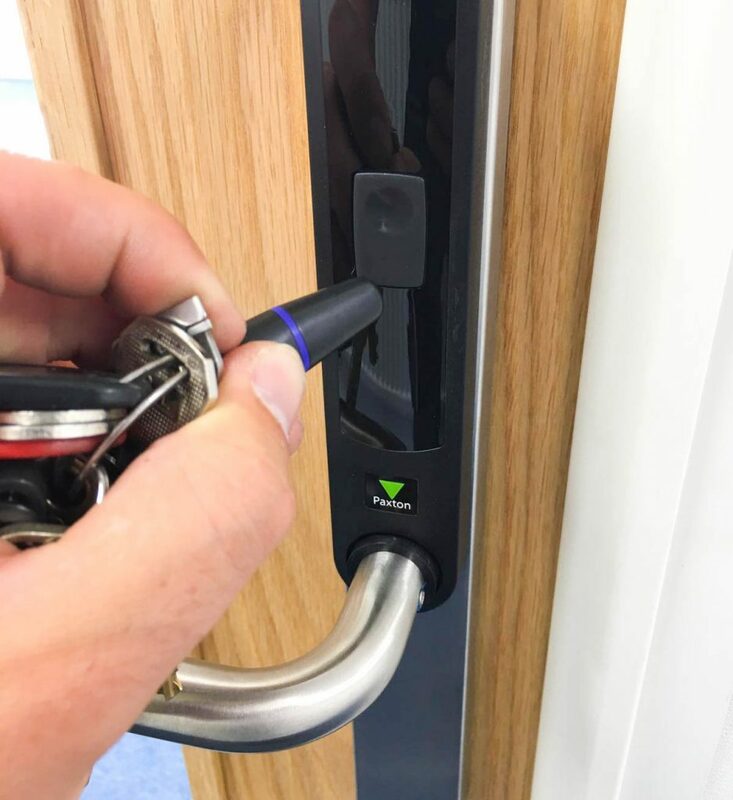 Our engineers and support staff know these are the door entry systems Dorset businesses really enjoy using, and they know the products inside out. Access can be set individually or by department, making the set up pretty straightforward. Areas of the building can also be restricted to certain departments too. Does your business have multiple locations on the same network? If so, access to all buildings can still be controlled from a central location via the same secure PC software. Enquire today; one of our experts will respond within 24 hours.